Police have rescued 211 protected parrots taken from the remote forests of Paraguay, and made four arrests. 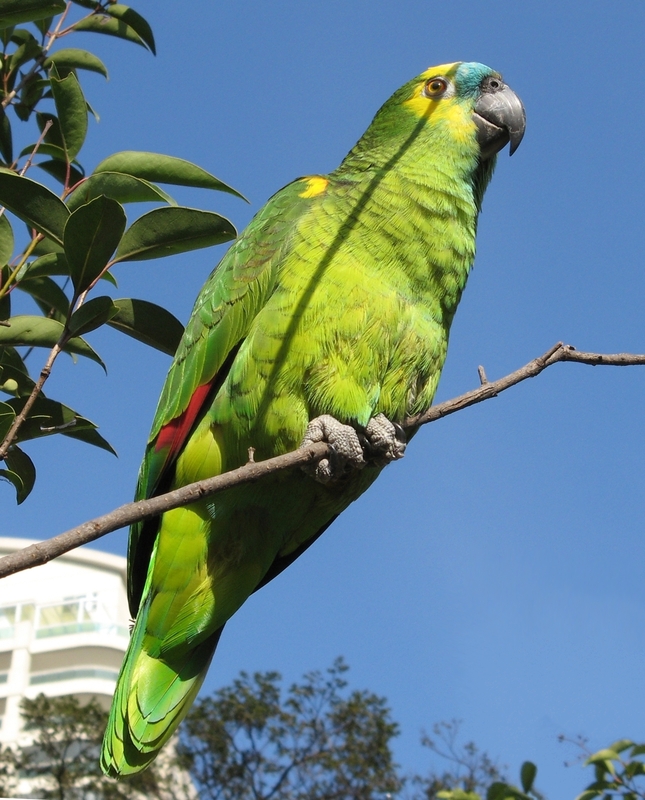 Veterinarian Carlos Britos of Paraguay’s environmental ministry identified the rescued birds as Blue-fronted Amazon parrots, whose scientific name is Amazona aestiva. He says many are still juveniles and were taken from their nests. He said today that they are being cared for by government biologists in a national park, and will be returned to the wild once they can fly. This entry was posted in Birds, Crime, Economic, social, trade union, etc., Environment and tagged Paraguay, parrots by petrel41. Bookmark the permalink. A good result! Well done Paraguay police! I hope that all will continue to go well for those beautiful birds. Pingback: Friday's Featured Food: Paraguayan All You Can Eat Buffet!